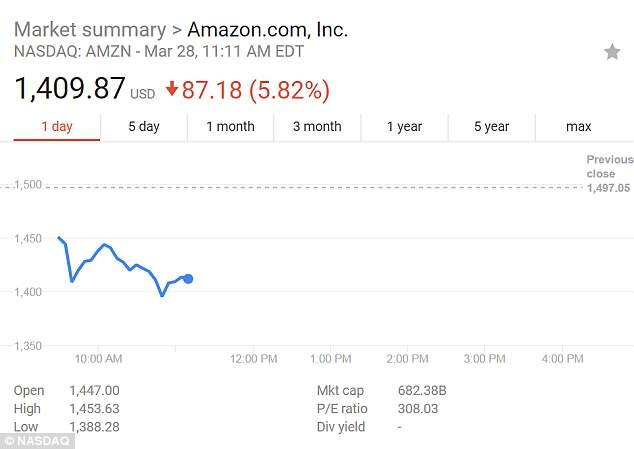 President Donald Trump has made it very clear that he's no fan of Amazon, and this morning he attacked the retail giant again on Twitter. Trump claimed that Amazon's shipping practices have negatively impacted retailers and local governments. "I have stated my concerns with Amazon long before the Election. 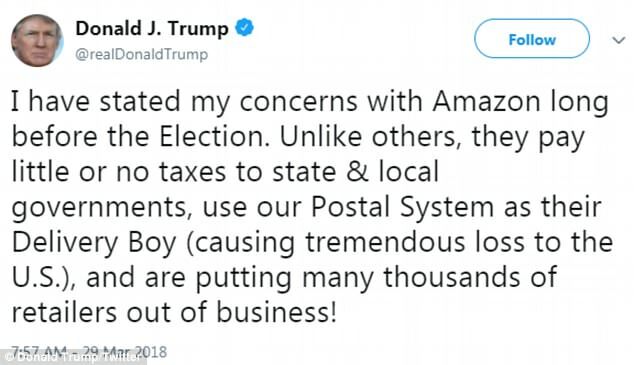 Unlike others, they pay little or no taxes to state & local governments, use our Postal System as their Delivery Boy (causing tremendous loss to the U.S.), and are putting many thousands of retailers out of business!" he wrote in a tweet. The tweet comes the day after Axios reported that Trump "hates" Amazon and has been talking privately about changing the way that Amazon pays taxes. According to Axios, wealthy friends of Trump have been complaining to the president about the online behemoth. White House press secretary Sarah Sanders was asked about the Axios report during Wednesday's press briefing. "We have no announcements and no specific policies or actions that we’re currently pushing forward or considering taking," she said. She was asked again about whether or not Trump is proposing new regulations on the company behind closed doors. "Look, the president has said many times before he’s always looking to create a level playing field for all businesses, and this is no different. And he’s going to always look at different ways, but there aren’t any specific policies on the table at this time," she said. Trump expressed his ire with Amazon last summer in a tweet. "Amazon is doing great damage to tax paying retailers. Towns, cities and states throughout the U.S. are being hurt - many jobs being lost!" Trump tweeted in August 2017. 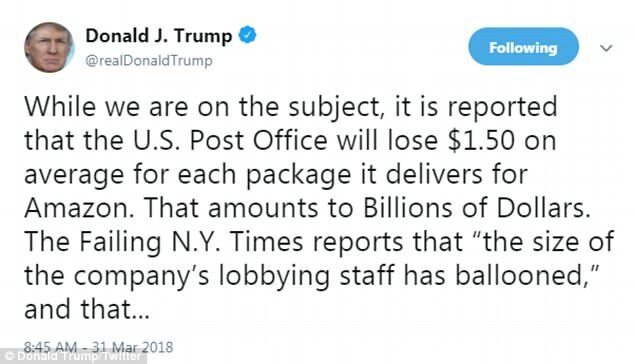 In a Dec. 27, 2017, tweet he wrote, "Why is the United States Post Office, which is losing many billions of dollars a year, while charging Amazon and others so little to deliver their packages, making Amazon richer and the Post Office dumber and poorer? Should be charging MUCH MORE!" Trump has also expressed his unhappiness with Jeff Bezos, Amazon's CEO. 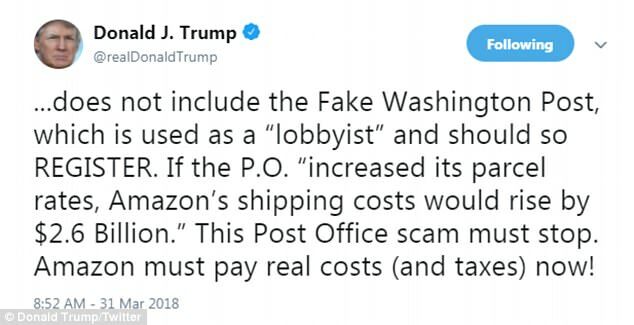 The president has claimed that The Washington Post, which Bezos owns, has been overly critical of his administration. Trump has repeatedly slammed the paper in tweets during the campaign, specifically citing Bezos' ownership as the issue. "The @washingtonpost, which loses a fortune, is owned by @JeffBezos for purposes of keeping taxes down at his no profit company, @amazon," he wrote in December 2015. 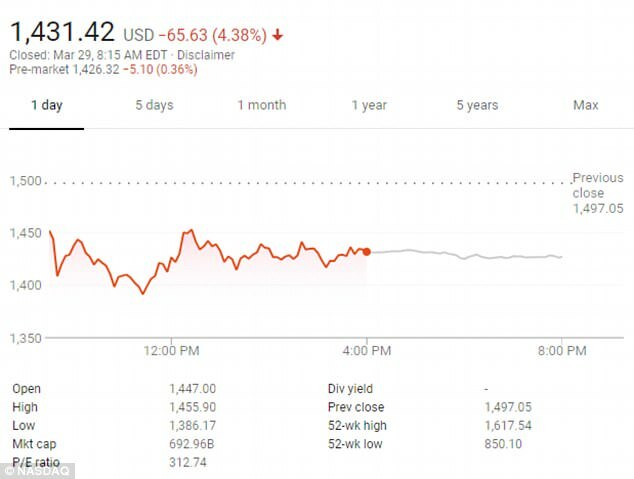 That tweet was followed by two others in which he claimed that Bezos was able to write off The Post's financial losses and Bezos had the "power to screw [the] public on low taxation of Amazon," adding that if the company "ever had to pay fair taxes, its stock would crash and it would crumble like a paper bag." Trump has called The Washington Post "fake news" and labeled it a "lobbying tool" at previous rallies. But in 2017 Amazon paid $957 million in taxes and $412 million in 2016, according to SEC filings. Earlier this week, the Institute on Taxation and Economic Policy, a nonpartisan organization, released a report saying that Amazon has an advantage over brick-and-mortar businesses because Amazon does not collect sales tax from seven states. In other states, the retailer does not charge the full amount of the state sales tax. Amazon has openly fought against collecting state sales taxes, arguing that it would be forced to increased prices on its goods. Amazon and other online retail companies like Overstock have lost court cases with that argument. "If you look back in time, a big part of Amazon's business strategy was not collecting the same sales taxes that its competitors had to collect," Davis said. "That still occurs to a significant extent but less than it did even five years ago," he said. But Amazon has had a significant effect on the U.S. Postal Service. Amazon and USPS struck a deal in 2014 that allows USPS carriers to deliver packages on Sundays, The Associated Press reported. Trump's recent criticism that Amazon is taking advantage of tax loopholes is in contrast to what his former self might have said. Trump's own tax history remains unclear since he was the first president in modern history to refuse to release his tax returns during the campaign. Moreover, at the first presidential debate against Hillary Clinton, he said that not paying federal taxes "makes me smart." The idea that Trump would have supported Bezos' business practices back when he was simply a real estate mogul and reality television star are not unfounded. In 2014, he tweeted out an inspirational quote from Bezos himself. More recently, Bezos has attended two public summits with Trump, one during the transition and one at the White House. At the June summit, which was the meeting of the American Technology Council and included the CEOs of Microsoft, Apple and Amazon among others, Trump praised the attendees as "special people" and an "incredible group of leaders." Bezos was also optimistic with his comments. "When we met before in December I encouraged this administration that you could be the innovation administration. I’d like to see that kind of thinking continue," Bezos said.